Here's a superb casino game online from Playson that you can enjoy playing. 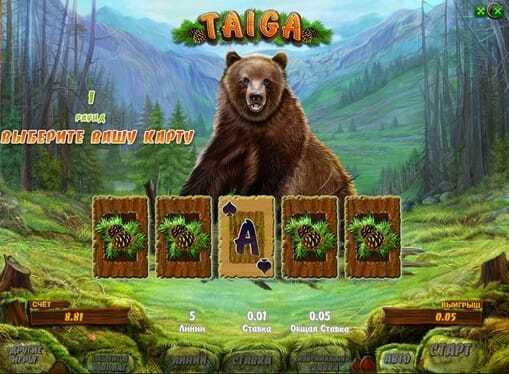 Venture into the wilderness of the Taiga – if you dare! 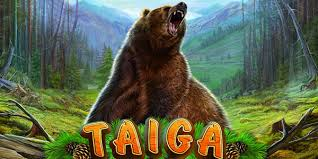 But what is the Taiga, you may ask. It is a type of forest filled with coniferous trees and characterised by cold and wild landscapes. There are two vast expanses of taiga on our planet – one in Canada and one in Russia. An idyllic backing track of twittering birds and gentle string melodies might lull you into a false sense of security at first but beware because these reels can bite! You are sharing this untamed landscape with ferocious grizzly bears who won’t take too kindly to you intruding on their turf! Set against a misty background of never ending woodland and jagged mountains, colourful berries and an array of wildlife will scurry past you. Keep an eye out for majestic wolves, adorable fluffy squirrels, and quizzical polecats in this online slots games. You might even be lucky enough to catch a glimpse of a Siberian tiger! Playson have built a reputation for Unique Gaming Solutions since their creation in 2010, and fans of this developer will not be disappointed by Taiga. The theme itself is imaginative (and informative!) and has been well executed by the talented team. 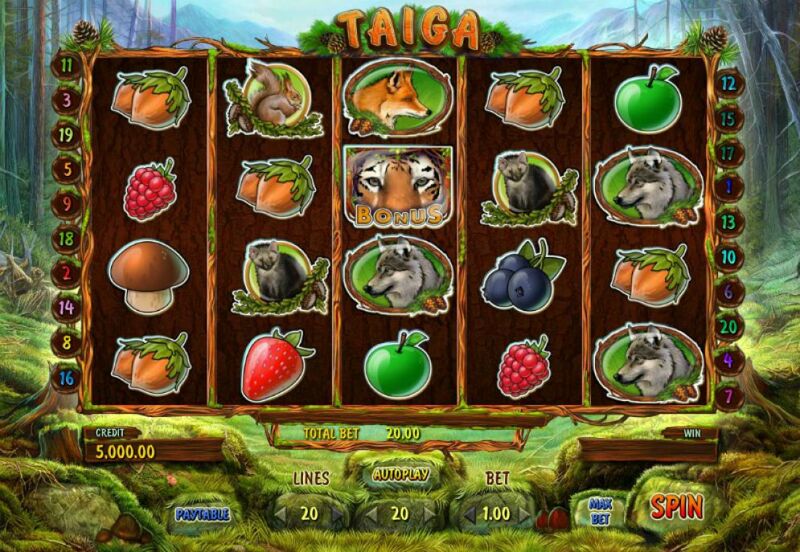 For a similarly wild slot by Playson, nature enthusiasts should try Happy Jungle! If you love promo's, get the best casino promotions ASAP! This is a 5 reel slot with 20 paylines. You can choose to activate any number of paylines between 1 and 20. Players also have the options of betting between 1 and 20 coins per payline, meaning the total maximum bet is 400 credits! The brown grizzly bear may look scary but if you treat him with respect he’s willing to offer you a helping hand. As the Wild symbol, he can substitute in for other icons (apart from the Siberian Tiger) and helps you secure winning combinations. Moreover, in this slot the bear symbol has a tendency to appear stacked on top of each other, making wins all the more likely! The stealthy Siberian Tiger is the Scatter symbol of the Taiga – if three or more are on the prowl at a time, you will be rewarded with 5 free spins during which wins are doubled! The most valuable winning combination is a row of 5 grizzly bears – this secures you a whopping 1000x your stake on that payline! The other animals are not so fearsome – the next highest scorers are the fox and the wolf, both of which payout 400x your line stake if you line up 5. After every winning spin, you have the option of playing a Gamble round where you can potentially double your winnings. Here you come face to face with the grizzly bear, who will ask you to pick a card higher than the value of the one he himself has chosen. Choose a higher card and he’ll double your winnings, but choose lower and he’ll be taking it all for himself! Playson have given you the chance to explore the dramatic landscape of the taiga from the comfort of your own home! The soundtrack and brilliant visuals effectively transport you to these otherwise rather unhospitable environments.